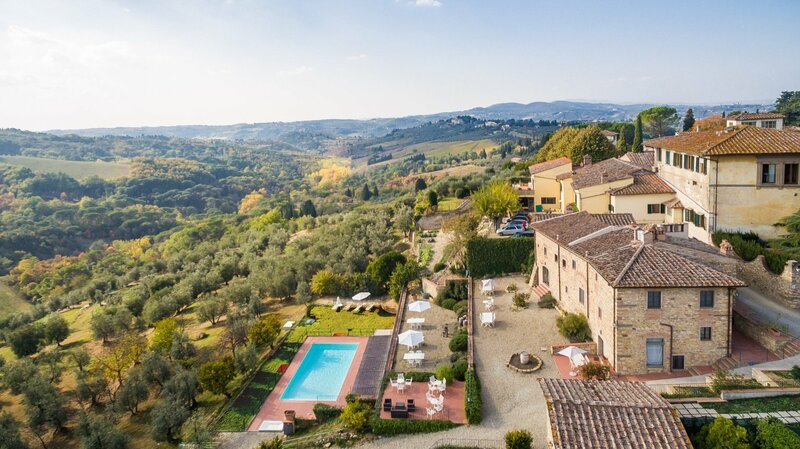 Two independent villas with pool in the heart of Tuscany, fully integrated into the extraordinary setting of the Relais, satisfy the need to experience a stay in complete privacy and exclusivity without taking away the comfort of the services offered to all guests. 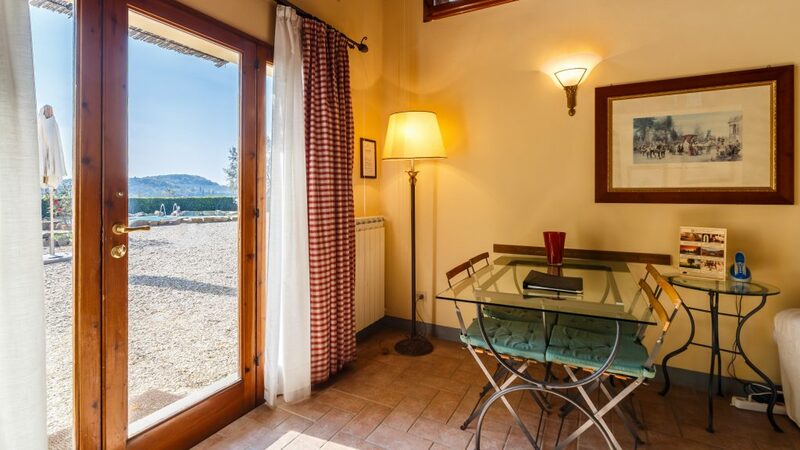 The villas are the perfect solution for guests who are looking for a private accommodation or a family villa in Tuscany, surrounded by a relaxing atmosphere. 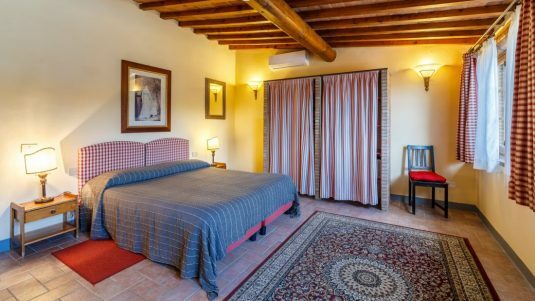 The villas represent the best travel solution for customers who don’t want to give up anything and enjoy a well-deserved break in an oasis of peace, between genuine scents and flavors of the past. 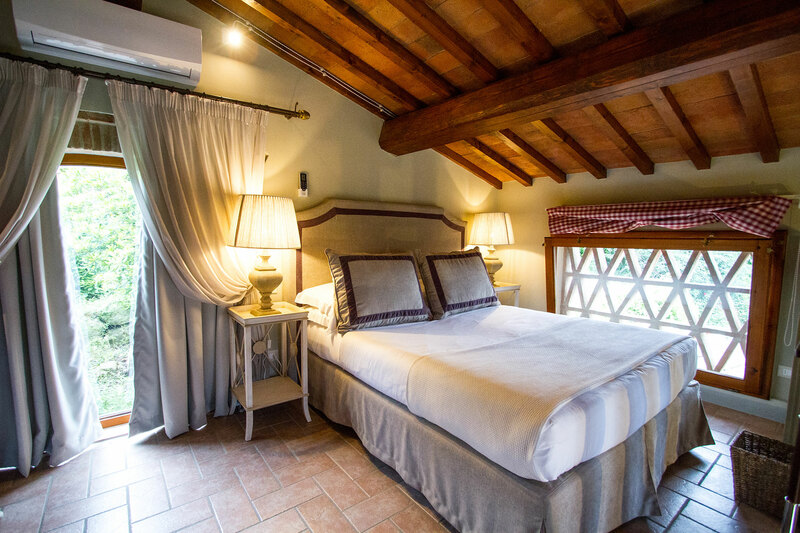 In the Villas, everything is designed to promote relaxation, intimacy, and tranquility. 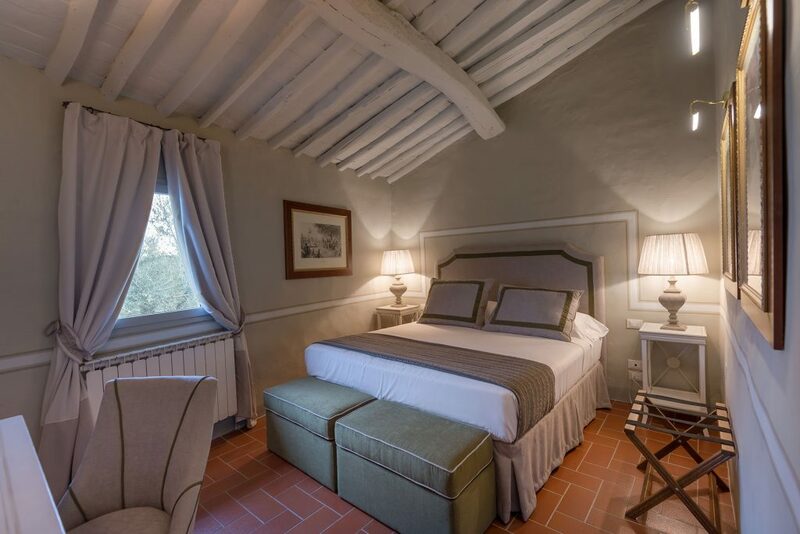 Each structure is located at the entrance of the estate of the Relais and is surrounded by a delightful private garden with swimming pool and panoramic views from which to enjoy the unforgettable and famous Tuscan sunsets. 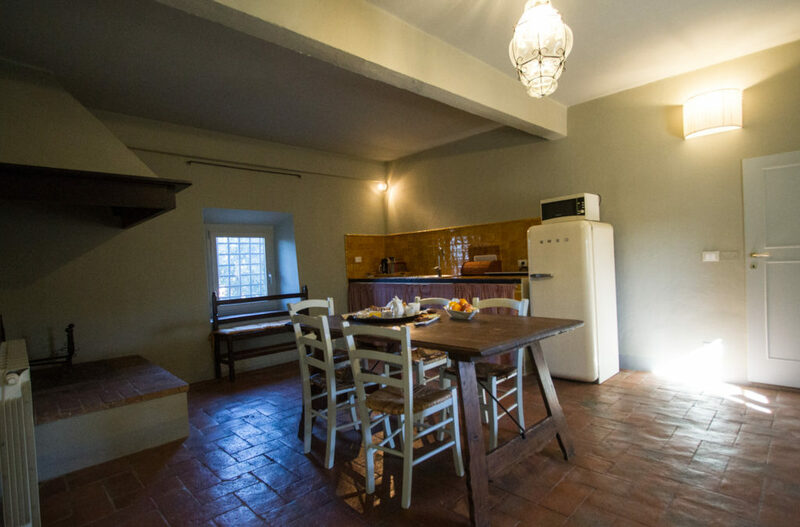 Each house, finely furnished and cared for in all details, consists of two rooms, one of which is a loft, lounge and kitchen where you can also book a cooking class or request the service of a private chef. 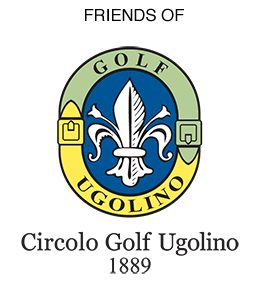 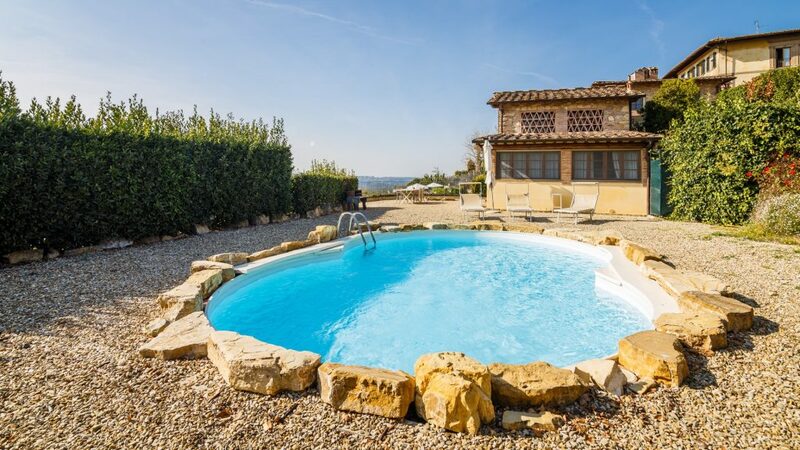 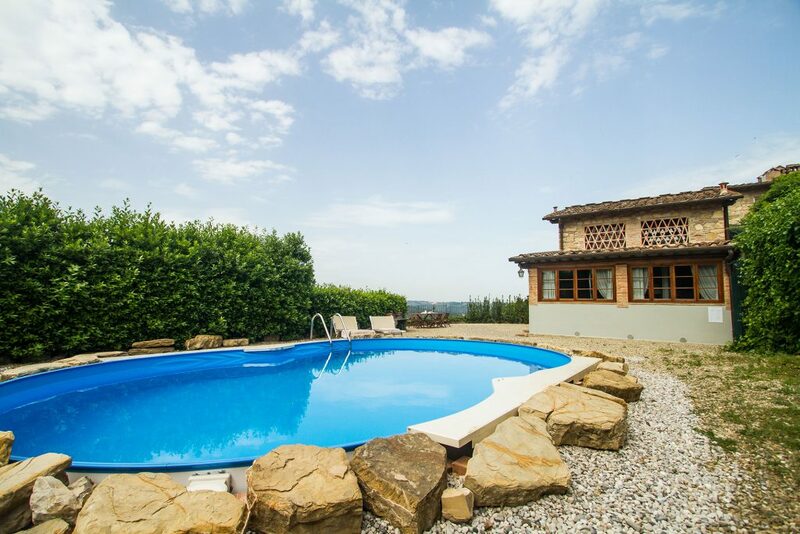 Located at the entrance of our property our villa with pool in Tuscany is the ideal solution for those wishing to enjoy the finest of Tuscany in full comfort and total privacy. 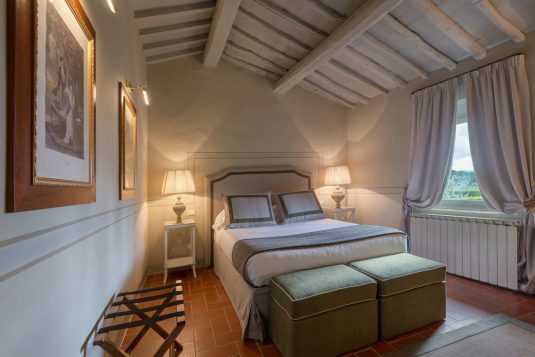 Comprising a private swimming pool and lovely garden, the Villa provides guests with the chance to spend leisurely moments immersed in the marvelous Tuscan panorama. 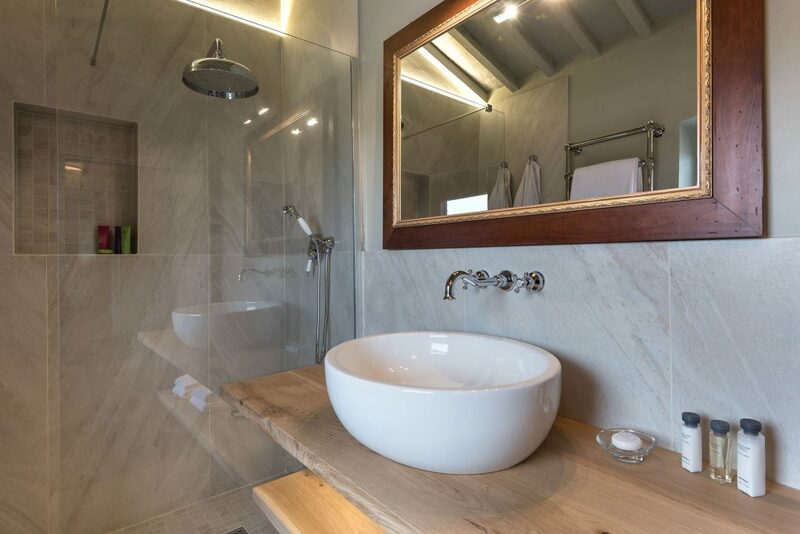 Featuring a private garden and private swimming pool, finely furnished and well-equipped our Deluxe villa offers guests the exclusive privilege of enjoying full privacy and a peaceful intimate ambiance combined with the comforts of deluxe hotel services. 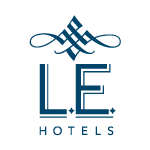 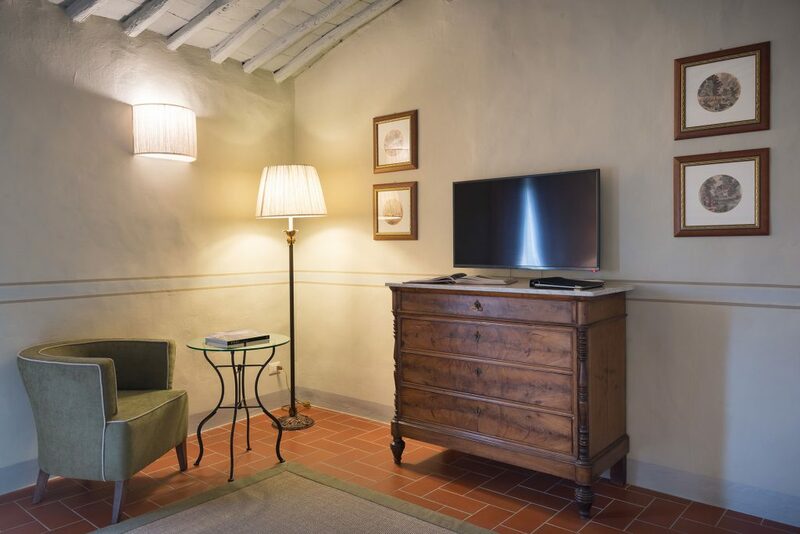 2, 3 or 5 of our Deluxe guestrooms, located in the same ancient dwelling and connected with the building’s period kitchen, are communicating. 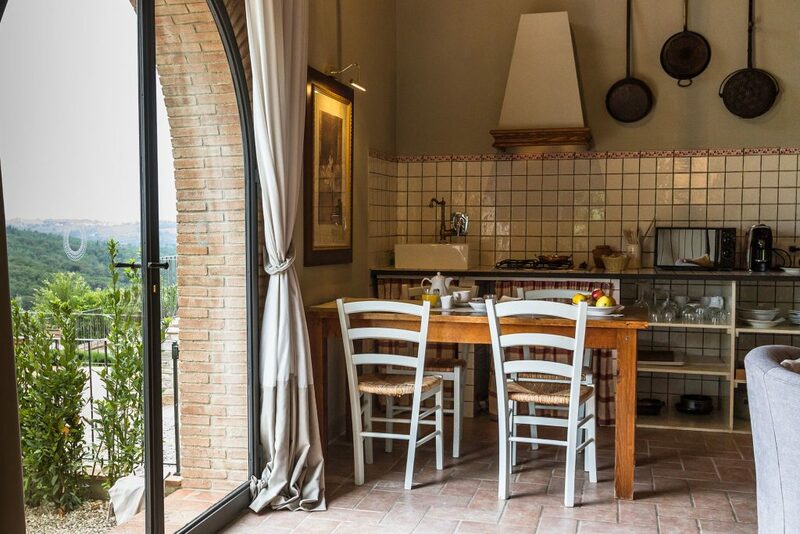 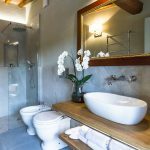 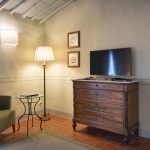 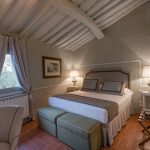 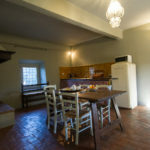 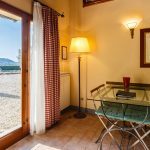 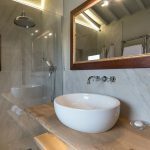 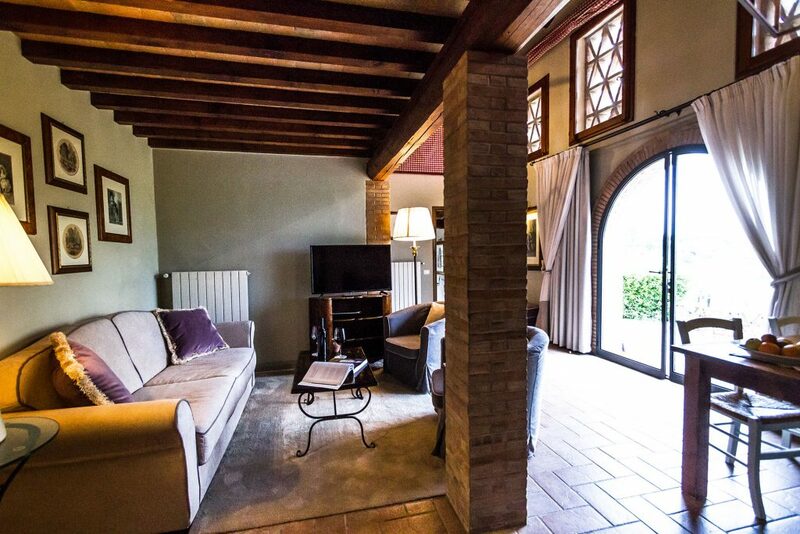 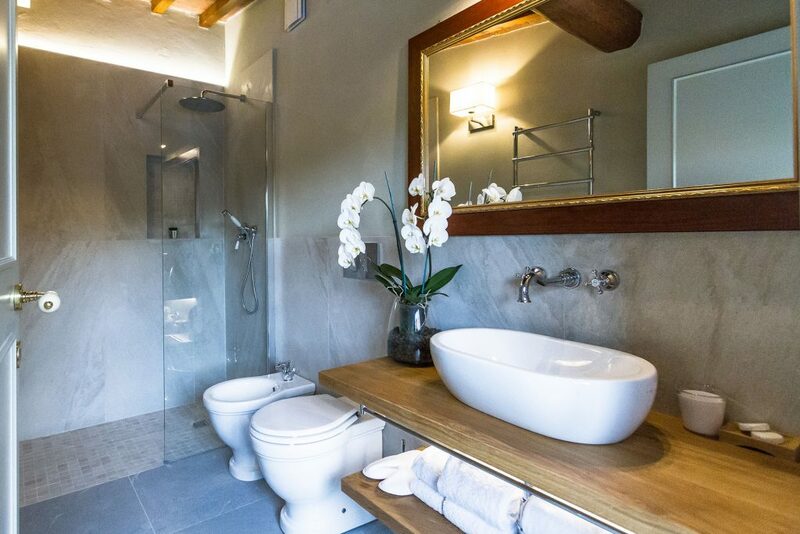 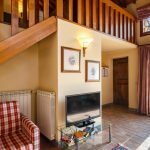 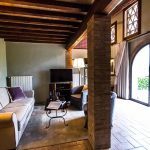 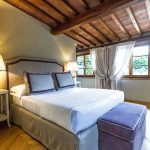 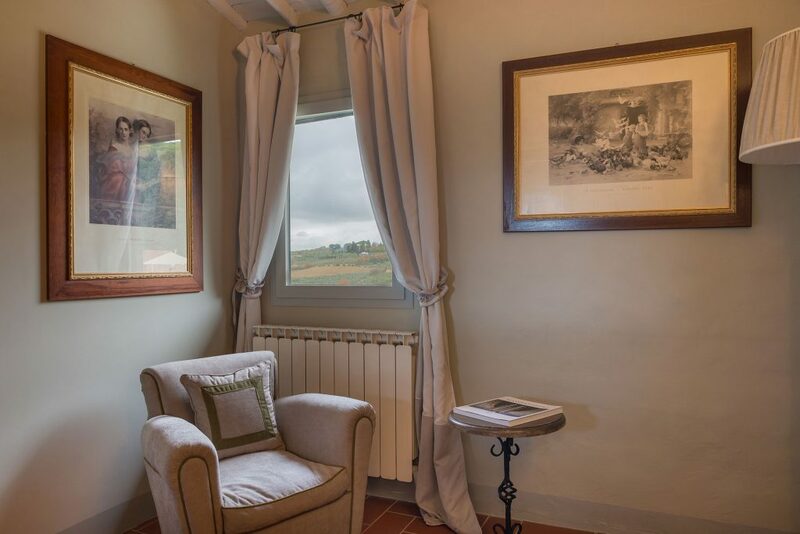 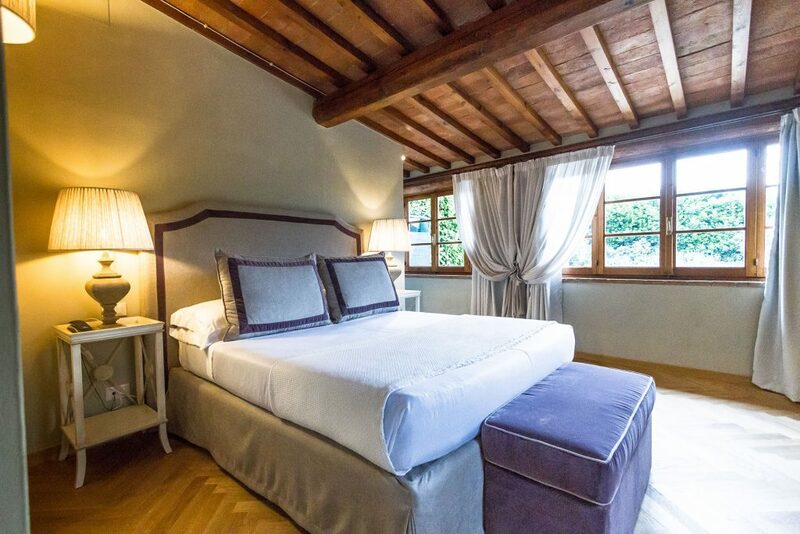 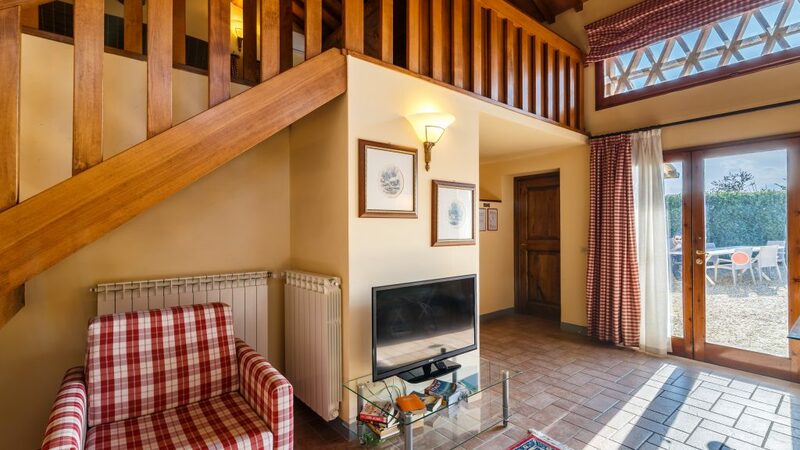 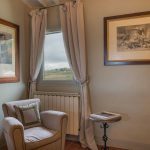 The Country House is a family villa in Tuscany and it may be booked as a whole (accommodating up to 10 guests in 5 double deluxe rooms) including the fully equipped kitchen with fireplace.